DC comics and Warner Brothers are joining forces to bring Aquaman to China’s silver screens. 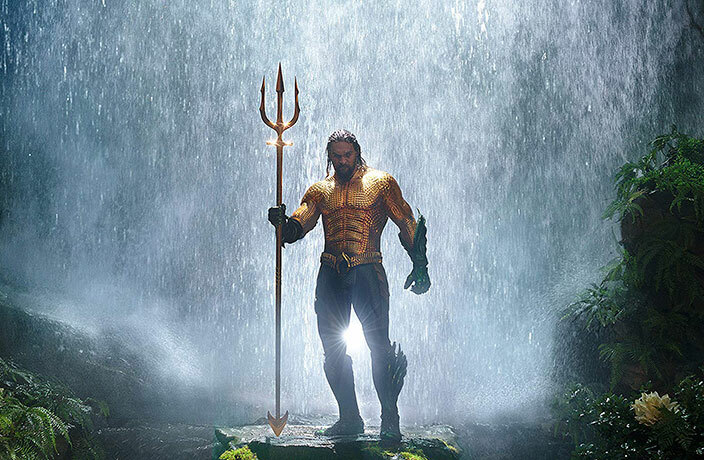 When his half-brother, King of Atlantis, decides it’s time for the under-water nation to take their rightful place, Arthur Curry (Jason Momoa) is the only one who can stop him by reclaiming his right to the throne. In an impending war between land and sea, only Aquaman can unite the two and save the millions of lives at stake in an impressive deep-sea spectacle. One of many true stories to grace the silver screen this month, Adrift is about one of the worst hurricanes in modern history, and the young couple that's set on surviving it. After meeting in Tahiti, they set out to sail an elderly couple's boat across the ocean, and are met instead by a life threatening adventure. Catch Shailene Woodley and Sam Claflin in this anxiety inducing action-oriented romance. This Christmas classic from Dr. Seuss just got an update. With more depth, color and charm, this remake of the holiday favorite brings new life to a familiar tale, with voice actors like Benedict Cumberbatch, Rashida Jones and Pharrell. Celebrating its 30th anniversary this year, My Neighbor Totoro will be screened for the first time in China on December 14. Available in both Japanese and Chinese, the nationwide theatrical release will open the film up to a wider audience while still satiating the purists who grew up with the classic animation. While productions from the Mitaka-based Studio Ghibli have never been shown in Chinese theaters before, fans of the famous director Hayao Miyazaki will be excited to hear that they’re in talks with Chinese partners and looking to bring more productions to the Middle Kingdom. Here’s to taking these hand-drawn features, in all their detail, to a bigger and better stage (screen). After a failed special police operation, Police Force Major Chromov (Sergey Garmash) finds himself in a rather difficult situation. Thanks to a fortune teller, he comes to realize he's traded his body for that of a toddler's. Even after swapping a police car for a stroller, Major Chromov is set on completing his mission and unbeknownst to his mother, he ropes his father into becoming his partner in crime, where together they go on to try to catch the mafia boss. Based on the unbelievable true story of a man who brought low-cost sanitary products to India, Pad Man catalogues his journey, his struggle and every other bump in the road. With beautiful cinematography and comedic dialogue, it captures an important chapter in the country's history and speaks to changing stigmas and their importance for general health. The one and only Spiderman might not be the one and only. Thrust into another universe, Miles Morales discovers there are a lot of people just like him - with aracnid like skills and a responsibility to mankind. Between the various Spider men, women and pig (with Spiderham voiced by John Mulaney), Miles must learn to hone his skills if he is to return home and save Brooklyn from total devastation. This sophomore film from director Bi Gan is a mystery-noir that made waves at the Cannes Film Festival earlier this year when audiences were instructed to put on 3D glasses an hour into it. With impressively long takes and a mixed viewing experience, this accessible art feature set in Guizhou features cinematography and scenes that will delight any Asiaphile in a story about the haunting of loss and regret.